Fabric structures are being incorporated more and more often in conjunction with or in place of drop ceilings. There are two benefits associated with this. On one hand there is the visual aesthetic. With design playing a pivotal role in audience engagement, fabric structures are relied on for allowing visually enhancing form and effect. On the other hand, there is the functional aesthetic. Such things as light diffusion or blocking, sound absorption, sprinkler accessibility and mobility all add to the advantages of overhead fabric structures. 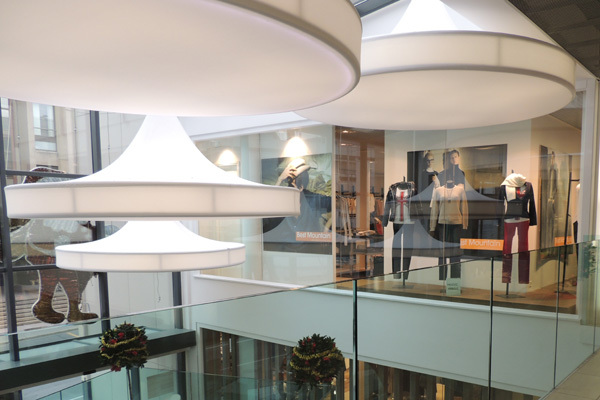 To take advantage of this two-story environment, several flattened tear-drop canopies were positioned in tiers, each exuding a soft glow from internal lighting. 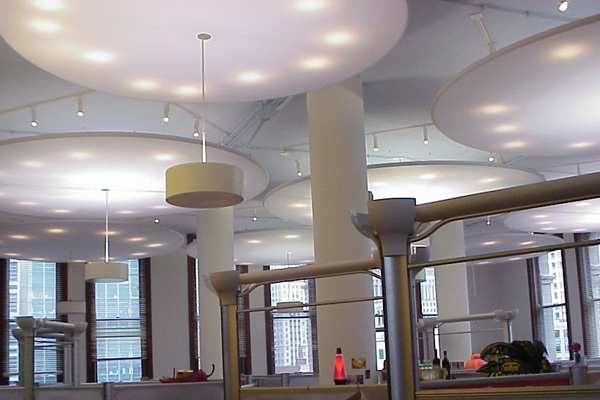 Simple canopies were added to this office environment with the function of diffusing the track lights above, while evening the positioning of the light itself. 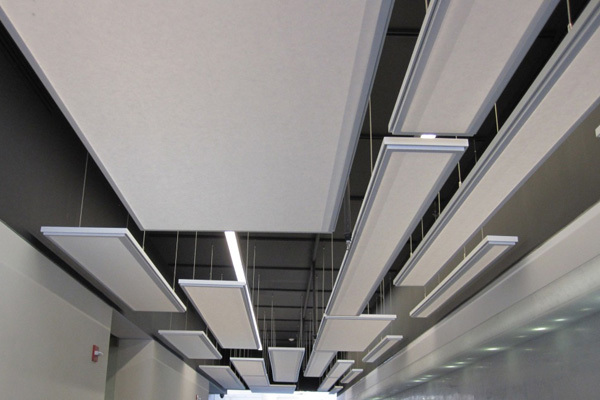 Dressing an architectural brand, these floating ceiling canopies are suspended from the building structure in an abstract pattern that keeps the eye interested. ← Does Texture Invite Touch?